I don't care what you think. I don't even. I know it's almost two full months into 2015. I know this is a birding blog. Deal with it. There are lot of cool living things out there, and birds are just the best way to get to them all. Plus, if you're going to lug a heavy camera around all day you might as well point it at stuff, you know? Here are cool non birds I saw in the two-thousand-and-fourtteenth period that the Earth made one full rotation around the sun, counting from the time that a certain magical baby was born in a stable in Bethlehem (Judea, not Pennsylvania). 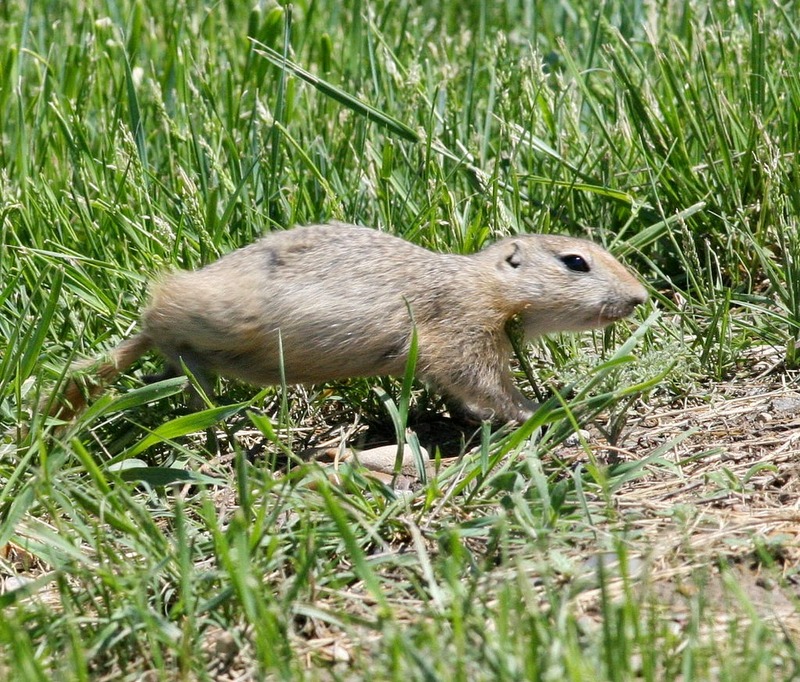 These cool little guys were cruising around the grounds of the Fort, whistling and running and just being cool animals that we don't have out East. 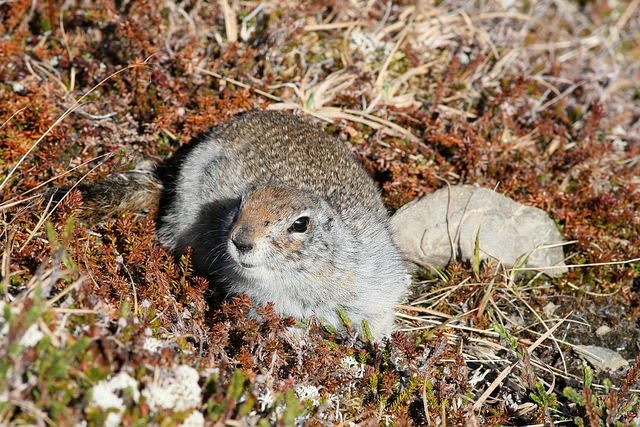 My Peterson Mammal Guide says that this fella "Often stands bolt upright to survey for danger, hence the name "Picket Pin." That's cool I guess. What's up homeboy? Just hanging out in the tundra, trying to look like a rock so Golden Eagles don't eat you? Respect. Good luck with that. 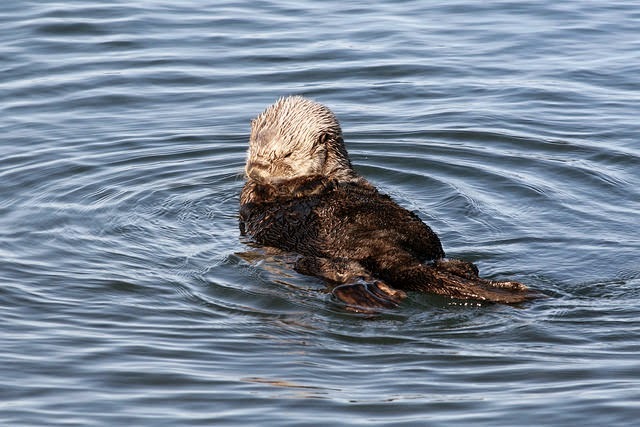 I mean, this guy was just chilling on his back RIGHT offshore the whole time we were there. Like ten feet off the beach, rolling around, lounging, eating whatever he was eating, being warm. I still managed to not get a good photo. This pic is technically from the first days of 2015, but I started the trip in late December so I'm counting it. It's my blog I call all the shots. Plus, look at this guy! 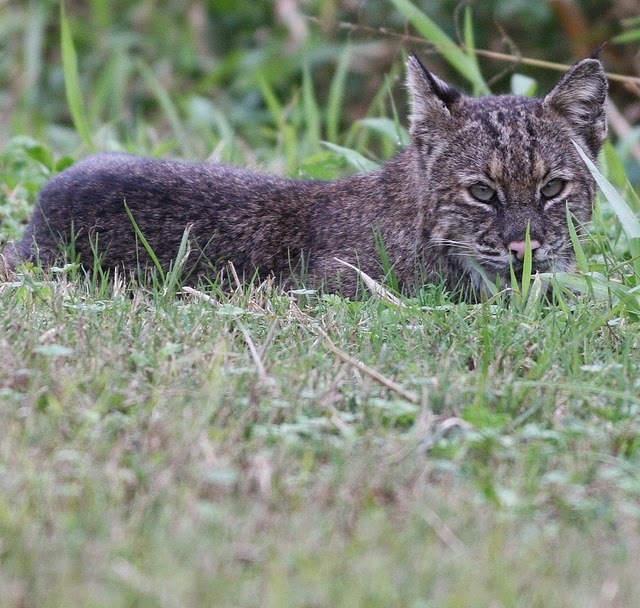 I'd never seen a Bobcat before, and this dude just sat there while we walked past, with murder in his (her?) eyes. Stay gold, Bobcat. Easily the best mammal encounter I had all year. 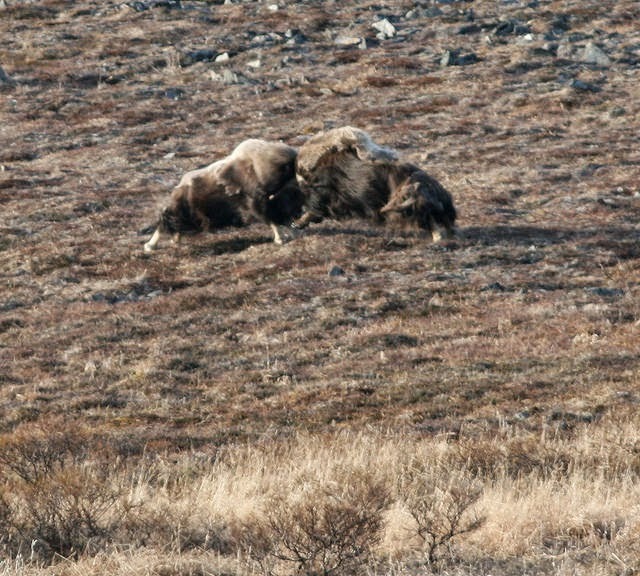 If you can't really decipher the photo, it's two Musk Oxen at the moment of head-to-head, face-destroying impact. Oh man. We had been watching this group of Oxen across the hillside while we were looking for Bluethroats, and I saw this pair start backing away from each other, swaggering their butts and generally looking like something was about to go down. They sprinted at each other and smashed their heads and it was loud and awesome. 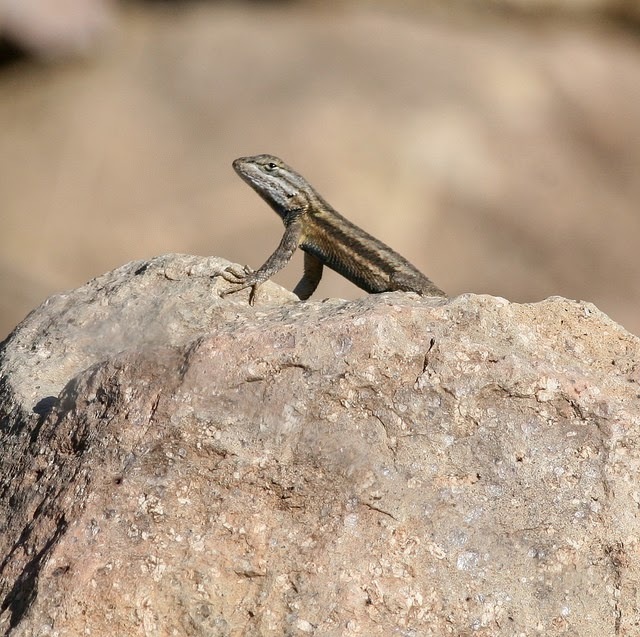 There are tiny little lizards scurrying everywhere in Big Bend. It's great. 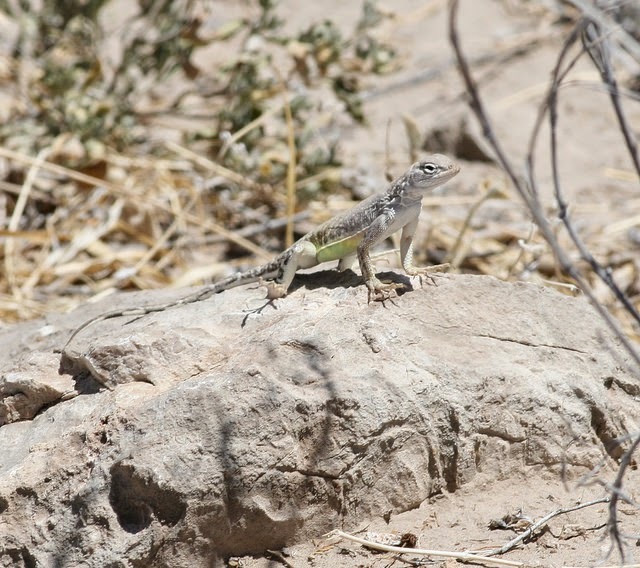 I am no pro at identifying herps, but I think this is the southern subspecies of the Prairie Lizard. Lookin' tough. Softshell turtles are insane looking. Unsettling. Peterson calls them "animated pancakes," which fits pretty good. 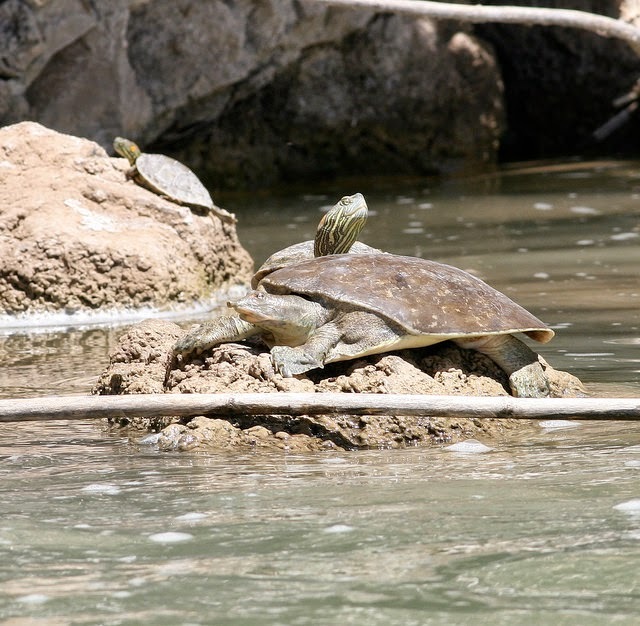 Based on range, this guy is of the Texas subspecies of the Guadalupe Spiny Softshell. Behind him is a Big Bend Slider, a range-limited cousin of the more common (to me, anyway) Red-eared Slider. The ID was simple once I saw that it didn't have any ears. Haha jk do lizards even have ears? It's like calling a bird a Many-fingernailed Duck or something. I don't know. Either way, I've also ID'd this guy based on range, with Peterson telling me Southwesterns live along the Rio Grande while Texas Earless live in the eastern part of the state. OK. Either way, this lizard was doing that cool thing lizards do where he lifts his belly up to the side to flash his colorful underside but then hides it back down to remain camouflaged. Cool. Yeeeahhh. This fella was huge. 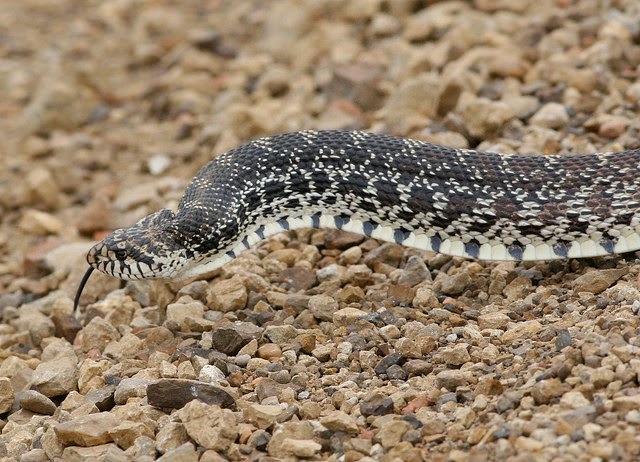 Peterson tells me that Bullsnakes are "one of the few kinds of North American serpents that can hiss loudly," and boy did this guy, as he pushed himself off into a ditch. Scared the pants off me. Also, "serpents." Awesome. My first rattlesnake! This guy is a tiny little baby, but there he is. 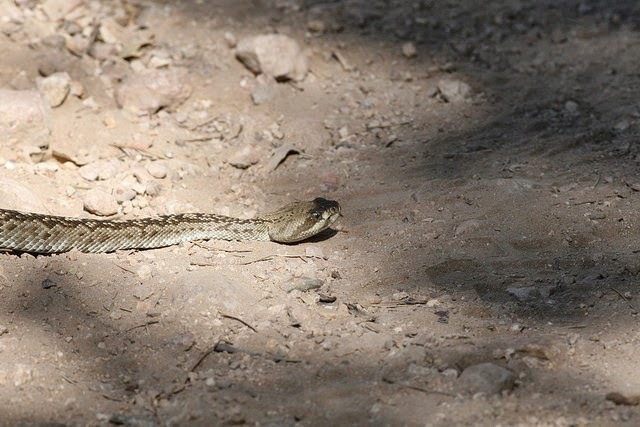 Almost stepped on him as I was walking down the long hot dusty trail from the Colima Warbler walk. He was in no hurry to get off the trail, and a bunch of other hikers piled up and watched him. 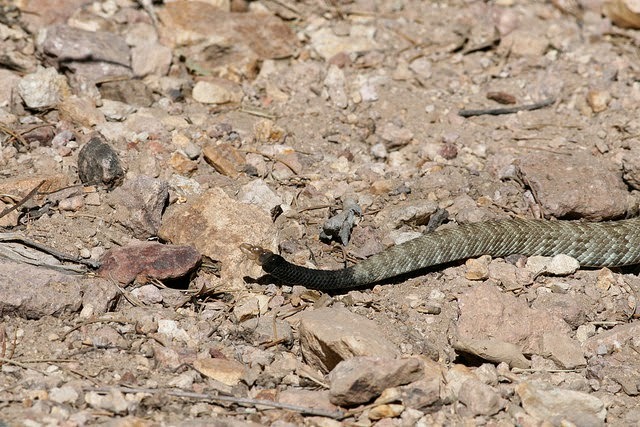 Rattlesnakes are captivating, and no one minded waiting in the heat. Important Answers to Major Questions: What Kind of Binoculars Was Robert Kraft Using During the Super Bowl? Needless to say, as a lifetime fan of the New England Patriots, I enjoyed this weekend's Super Bowl. For those of you non-sports-types that might be reading this, the Patriots defeated the Seattle Seahawks (props for the bird-themed name, though) thanks to a miraculous goal-line interception. It was fantastic. Yep, Kraft is using Swarovski's CL Companion binoculars, which received an "Outstanding" mark from the Best Binocular Reviews website. They retail from Swarovski online for a cool $1,110. A little out of my price range, but pocket change for a guy who is literally wearing Super Bowl rings as cuff links. Go Patriots. Go Birders.